2-Day Ticket - $120. Additional fees may apply. Must be 18 or older with ID to attend. Free - No overnight parking. Lots to be cleared following show. 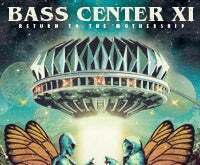 For the eleventh event in this very special series, Bass Center XI comes to the Mothership, Hampton Coliseum, for two nights of magical pandemonium, Sept. 1-2. Bassnectar will be playing each night alongside a diverse cast of musical guests including Barclay Crenshaw, Hatcha, Ana Sia, Noisia, Stylust and ill-esha. Must be 18 or older with ID to attend. No umbrellas. Wear your rain gear in the event it rains.